Looking to score more positive reviews and new patient referrals? You can’t miss this video about improving your dental office culture. This week’s Wednesday Wisdom features Xaña. 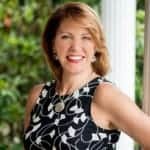 She’s dishing out step-by-step advice on creating a corporate culture statement that you and your team can stand behind. Because when people feel like they understand your dental office culture, what you represent, and that you’re not just about the bottom line. 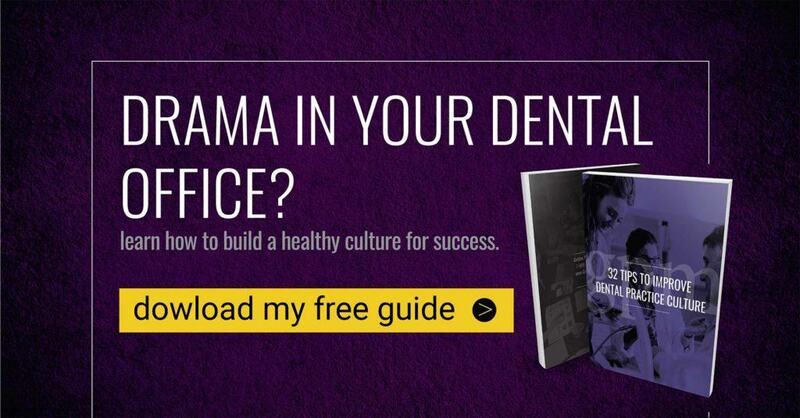 1) Why your dental office culture will improve with a clear statement and exactly what it is. 2) How you go about creating a statement that reflects your values and standards. Xaña: 00:01 Hey, everybody. This is Xaña Winans with Golden Proportions Marketing. Thanks for joining me for another edition of Wednesday Wisdom. What is a corporate culture statement? Xaña: 00:07 Today, we’re gonna talk about creating your corporate culture statement. You’re probably wondering what this has to do with dental marketing. I’ll explain when we get to the end. So, what is a corporate culture statement? Xaña: 00:18 It’s a really hot topic in business the past couple of years, and it’s because once it’s properly identified, you can recruit team members and make sure that everyone on your team is really living your culture, something that’s important to you as the business owner. How do you create a corporate culture statement? Xaña: 00:33 So, how do you create that culture statement? Well, we’ve done it at GPM, and it’s a great exercise for you to go through. Let me tell you the steps that we took. Xaña: 00:42 The first step is for you, as the business owner, to go sit somewhere quiet and really brainstorm what the most important key values are for you, how you live your life at home, how you live your life in business, because those core values are never gonna change because they are central to you, the business owner. Xaña: 00:59 Once you’ve identified those values, then you want to sit down with your team members. I sat down with my leadership team, and we actually wrote up a couple of sentences about each one, to illustrate what we meant. So, for example, one of our core values is integrity. Another one is positivity. I needed to be able to articulate very clearly to my team exactly what I meant by these statements. Xaña: 01:23 Now that we have those corporate culture statement complete, we find it’s an incredible recruitment tool because it helps us attract people that are aligned with what is important to us as a business. It also means that everyone is moving in the same direction. They are living the same culture, and it allows us to get to the end goal a lot faster. Xaña: 01:45 Now, if you, as a dental practice, are looking to create this corporate culture, it’s something that’s gonna help you to drive your results in your business. Xaña: 01:55 For example, patients see your culture in the way that you operate every single day, and it creates a feeling of complete authenticity for them. That authenticity is what drives your reviews, what drives your referrals, because people feel like they know who you are and what you represent and that you’re not just about the bottom line. Xaña: 02:27 Thanks for joining me today. We look forward to seeing you at a future Wednesday Wisdom.